Adjust the triangle until the reference angle A is 30 degrees. Copy the triangle onto your paper. Label which side is the hypotenuse. 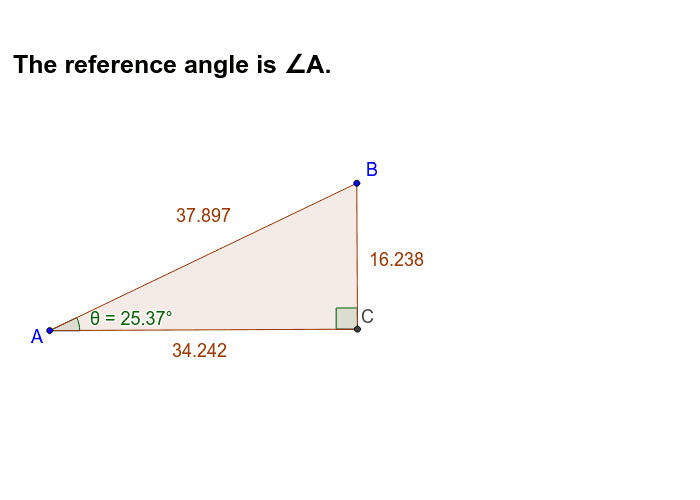 Label which side is "adjacent" and which side is "opposite" to angle A.